For All Your Styling Needs! These packs have been put together by Gorgeous Shop. Containing products that work together to give real results.Tailored to your hair type. Plus all the packs in this range offer a staggering discount from RRP so you'll be getting fantastic hair at a fantastic price as well! 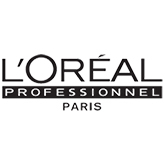 Find your favourite L’Oréal Professionnel products in fantastic value salon sizes. 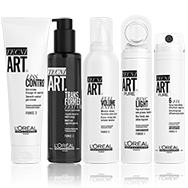 L'Oréal Professionnel TECNI.ART hair care products are used worldwide by salon professionals. Natural formulations that deliver professional results, Source Essentielle is crafted using 80-99% natural origin ingredients. Featuring flowers and leaves suspended in each shampoo, the formulations are all free from sulphates, silicones, parabens, mineral oils, synthetic colourants and synthetic fragrances. With solutions to suit all hair needs, from sensitive scalps to colour treated tresses, the vegan* formula is sure to become a firm favourite. *No animal derived ingredients or by-product. 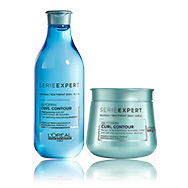 L'Oréal Serie Expert Absolut Repair Lipidium is formulated for very damaged hair to return moisture and structure while repairing your hair, from the inside out. 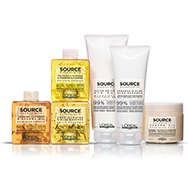 The Blondifier range includes all you need to cleanse and nourish beautiful blonde locks. Enriched with Polyphenol present in the açai berry extract, the formula provides hydration and care for blonde hair. 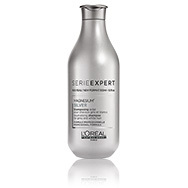 L'Oréal Silver Shampoo is designed to give clarity and shine to grey and white hair . With it's unique formula, silver shampoo maintains the condition of your hair, creating a healthy look and feel. Its formulation also ensures white hair remains white and doesn't take on yellow tones from external pollutants. L'Oréal Professionnel Serie Expert Vitamino Colour ensures that your beautiful coloured hair continues to shine what ever the weather with vitamino color and it's exclusive Colour Guard System. The Nutrifier range delivers the right dose of nutrition to dry and undernourished hair. Enriched with glycerol and coconut oil, the nourishing range of products help to hydrate hair whilst leave it looking healthy and full of shine. 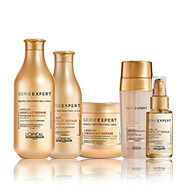 Serie Expert Detox & Control products are designed to treat specific scalp conditions - dandruff, thinning hair and greasy scalps. Designed to target breakage and split ends, L'Oréal Professionnel Serie Expert Inforcer helps your hair to become more resistant and stronger. Designed to enhance and maintain curled and curly hair. Add definition to your curls by nourishing and restoring the bounce. Look through the products and choose which is best for your curls. 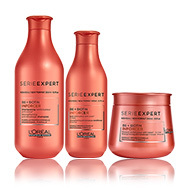 L'Oréal Professionnel Serie Expert Liss Unlimited helps to restore softness to difficult hair using the Hydra liss system, which deeply moisturises and smoothes your hair. The result being incredible detangled, repaired, and manageable smooth hair. 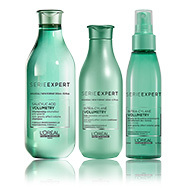 L'Oréal Professionnel Serie Expert Volumetry is a haircare range specifically designed to add volume and body to fine and weak hair. The lightweight formulas are developed with cutting-edge L'Oreal technology to gently purify the hair and scalp and lift the hair from the root for hair full and volumised! Cleanse, nourish and repair your hair and counteract the drying effects of the sun with solar sublime. Protect your hair before, during and after exposure to the sun. 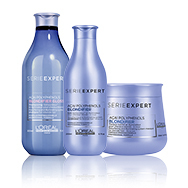 Discover L'Oréal Professionnel's first long-lasting recharging haircare for damaged hair. Divided into two hair programmes: Re-Create for fine, damaged hair and Reconstruct for thick, damaged hair. Pro Fiber addresses damage from root to tip by strengthening hair fibre, smoothing split ends and replumping for a healthy, shiny result. Using long-lasting L'Oreal technology, with Aptyl 100 that's at the heart of the hair masque, the formula allows you to extend and recharge the Pro Fibre in-salon treatment and give hair long lasting care without weighing it down. The Pro Fiber experience starts with an essential hair diagnosis and a tailor-made in-salon programme to renew the look of hair. The salon effects of the in-salon treatment can be prolonged at home for up to 6 weeks thanks to a dedicated routine and prolonged thanks to the Pro Fiber home care. Shop the Pro Fiber Revive, Restore and Recover clearance. 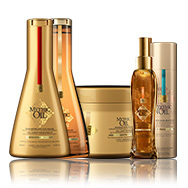 Discover L'Oréal Professionnel's collection of customised hair oil blends. Designed to target specific hair care needs and ensure a completely luxurious hair styling experience. L'Oréal Professional Mythic Hair Oil, Mythic Oil shampoo and Mythic Oil masque is loved by both salon professionals and home consumers worldwide. 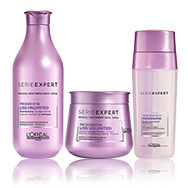 L'Oréal Professionnel Serioxyl reveals fuller-looking, healthy hair! The range transforms fine or thinning hair with a 3-step regime and two thickening treatments to reveal denser, fuller-looking hair. L'Oréal Professionnel Homme presents the range designed especially for men. Creating unique, tailored looks to help them stand out from the crowd in a subtle, sophisticated way. Blend colour and hide greys so that your colour looks even better for longer. Combining five years of research and eight patents. The L'Oréal Professionel Steampod is the latest in innovative hair technology. Using a continuous steam flow to straighten and style, the Steampod achieves sleek results on a variety of styles, leaving a beautiful shiny finish. 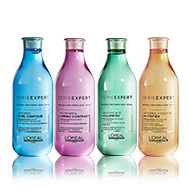 L'Oréal Professionnel offer a range of Shampoos to suit all hair types. All L'Oréal shampoo's have been put into this one category, so you can quickly and easily find the best shampoo to fit your hair type. 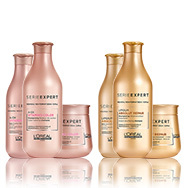 L'Oréal Professionnel offer a range of Conditioners to suit all hair types. 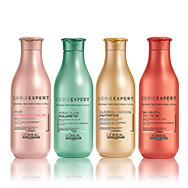 All L'Oréal conditioners have been put into this one category, so you can quickly and easily find the best one to suit you, or to match your L'Oréal Professionnel shampoo. 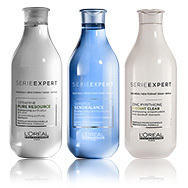 L'Oréal Professionnel hair treatments give your hair added care and control. Use at home to compliment your daily shampoo and conditioner and to keep your hair in perfect condition. View all L'Oréal Professionnel products in one place. Salon-quality style and care for your hair. In 1907, the French chemist Eugène Schueller formulated the very first hair dye containing synthetic colorants, which he sold to hairdressers. He called it "Aureole", meaning 'halo' or 'bright circle of light', in French. Within just two years, the company he had founded became L'Oréal, and the rest, as they say, is history. Over 100 years later, L'Oréal Professionnel is still at the forefront of hair care technology. Continuing to lead the way through innovation, originality and market leadership, L'Oréal Professionnel combines a passion for fashion with the most innovative technology, forming strong links with top designers, photographers, and beauty and fashion magazines, to raise the profile of the hairdressing industry. Which Range Is For You? Rejuvenate your hair with Pro Fiber - perfect for damaged hair. 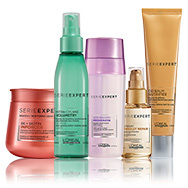 Ever wondered what Serie Expert range is right for you? Discover here! 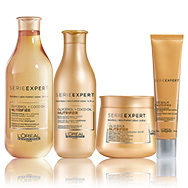 From the Serioxyl range which works to build fullness, density and health in noticeably thinning hair, to the Serie Expert range which targets three zones of your hair to improve texture, rebuild the hair cuticle and strengthen the internal structure of your hair, whatever your hair concern, L'Oréal Professionnel Hair Products have the solution. Loved by both salon professionals and at-home consumers worldwide, as well as L'Oréal Professionnel Shampoo the range also includes the Mythic Oil collection of customised hair oil blends, which promote radiance and smoothness for envy-inducing luscious locks. Not forgetting the gentlemen, the Homme range, designed especially for men, has been developed to assist in the creation of unique, tailored looks, helping gents to stand out from the crowd in a subtle yet sophisticated manner. It’s not just haircare that falls under the Professionnel umbrella, the brand’s innovative L'Oréal Professionel Steampod is the latest in innovative hair technology. Combining five years of research and eight patents, it uses a continuous steam flow to straighten and style, achieving sleek results on a variety of styles, leaving a beautiful shiny finish. 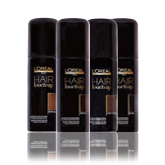 L'Oréal Professionnel is designed exclusively for salon professionals and for customers' home-use. The world leader in salon recommended haircare, L'Oréal Professionnel products ensure immaculate, professional results time and time again. So next time you’re seeking a solution to your haircare concerns, look no further than L’Oréal Professionnel, and keep an eye out for our L'Oréal Professionnel Gift Sets.